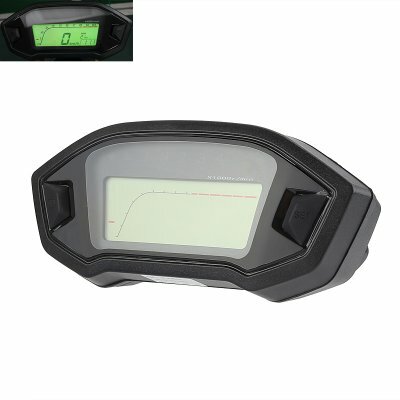 Successfully Added Universal Digital Motorcycle Odometer - Mph And Km/h, 7 Color Backlight, Time, Gear, Speed, Distance Traveled to your Shopping Cart. With speed display in mph or km/h this digital bike odometer is suitable for all countries. Its universal design ensures a good fit on all motorbikes so regardless of your ride. The LED backlight for this digital odometer has 7 color settings that can be switched at the click of a button. This lets you select the perfect option for your riding conditions be it a bright sunlit day, pitch black night time ride or a misty morning commute. You'll always be able to see a clear readout of all that matters. This aftermarket digital motorcycle speedometer comes with 12 months warranty, brought to you by the leader in electronic devices as well as wholesale motorbike and car gadgets..